Went right from Chemo to our JCC Fundraiser tonight. 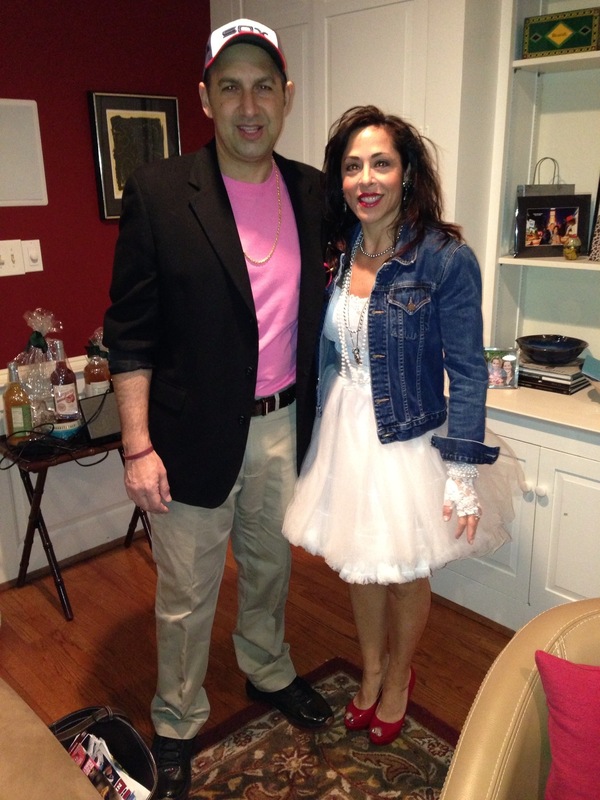 1980s theme party. Helene was the hottest one there in her Madonna garb – me – not so much. I tried a Don Johnson look with Air Jordan’s and a 1983 White Sox cap. I found my 8th grade graduation t-shirt from Central School 1981 but it didn’t quite fit right. Thanks to the many friends who came out and supported our JCC. I have been on the board of directors for a few years and am so proud to help represent an organization that has done so much for our family as well as countless others in our area. Tons of fun – pic below. It was a lot of fun indeed and Helene was smokin’!